Tuition rates are determined by the NC General Assembly each year. The maximum number of hours charged per semester is sixteen. $25.00 student support fee includes the cost of student accident insurance, student government, and other student-related activities. $16.00 technology fee includes the cost of software, hardware, and lab support. $15.00 CAPS (Campus-Access-Parking-Security) fee supports the college’s parking facilities, campus security, and enforcement. *1st year transfer into this program may be subject to this fee when not enrolled in one of the above courses. 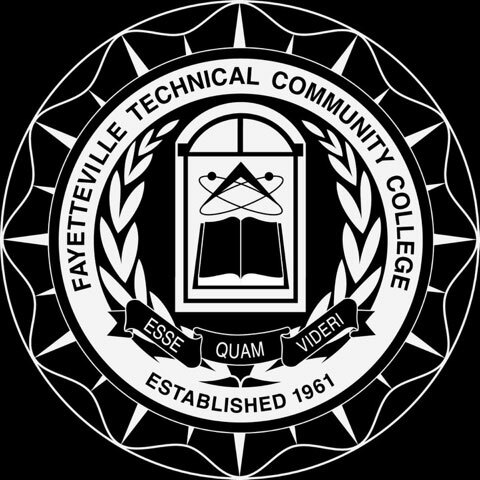 FTCC offers several ways to pay. Please select the option that is best for you. Tuition payment plans break down your tuition balance into affordable monthly payments. There is no interest, payment options are flexible, setup fees are affordable, and it is easy to enroll! Current students may pay a tuition, fee, and/or bookstore charge via WebAdvisor. Once the payment is made, contact the Cashier’s Office to request that the account hold is lifted. If you are not a current student, cannot access your WebAdvisor account, or would like an explanation of your balance, please contact the Cashier’s Office in the Thomas R. McLean Administration building for information. – Awarded Financial Aid constitutes payment and will hold your courses if you meet FA eligibility requirements. – Enrollment in the Tuition Payment Plan constitutes payment and will hold your courses. – Third Party Authorizations must be filed with the Cashier’s Office by the due dates listed below. – To avoid being charged tuition and fees, it is your responsibility to confirm that your courses have been dropped prior to the first day of the semester/term by checking your WebAdvisor account. March 7th – March 13th Due by 5 p.m. on Wednesday, March 13, 2019 if paying at the Cashier’s Office or by midnight on March 13, 2019 if paying on WebAdvisor. May 14th – May 20th Due by 5 p.m. on Monday, May 20, 2019 if paying at the Cashier’s Office or by midnight on May 20, 2019 if paying on WebAdvisor. May 21st – May 27th Due by 4:30 p.m. on Friday, May 24, 2019 if paying at the Cashier’s Office or by midnight on Monday, May 27th, 2019 if paying on WebAdvisor. March 15th – June 16th Due by 4:30 p.m. on Friday, June 14th, 2019 if paying at the Cashier’s Office or by midnight on Sunday, June 16, 2019 if paying on WebAdvisor. March 15th – June 2nd Due by 4:30 p.m. on Friday, May 31, 2019 if paying at the Cashier’s Office or by midnight on Sunday, June 2, 2019 if paying on WebAdvisor. March 15th – June 30th Due by 4:30 p.m. on Friday, June 28, 2019 if paying at the Cashier’s Office or by midnight on Sunday, June 30, 2019 if paying on WebAdvisor. There is a $25 fee for all returned checks. Payment can be made by cash, money order, or cashier’s check at the Cashier’s Office in Room 132 of the Tony Rand Student Center. FTCC does not accept partial payments for returned checks. Questions concerning a returned check should be directed to the Assistant Accounts Receivable Manager at 910-678-1096 or jordang@faytechcc.edu. Students who are sponsored by a third party must submit a Third Party Authorization to the Office of Business and Finance. Authorizations should be filed with the appropriate office by the payment deadline in order to hold a student’s classes. Note: In the event that an authorization is not filed prior to the payment deadline, it is a student’s responsibility to drop courses prior to the first day of the term to ensure they are not charged. Curriculum Courses (college credit) – Submit a Third Party Authorization Form to the Scholarships & Sponsorships Office in Room 109 of the Thomas R. McLean Administration Building. Continuing Education Courses – Submit a Third Party Authorization Form to the Cashier’s Office in the Neill Currie Building. MyCAA for Curriculum Courses – Submit a Third Party Authorization Form to the Cashier’s Office at the Fayetteville Campus in Room 107 of the Thomas R. McLean Administration Building. MyCAA for Continuing Education Courses – Submit a Third Party Authorization Form to the Cashier’s Office in the Neill Currie Building. Books must be returned within 10 days of the first day of class. Books must be returned within 3 business days from the date of purchase and no returns for one day courses. Books must be in original condition with an original sales receipt. Note: Any bookstore return made without the original receipt, will be held for 10 business days. The student will receive a refund voucher for confirmation. After 10 days, the Business and Finance Office will process the refund which will be issued per the student’s refund preference approximately two weeks later. The original cash register receipt is required for ALL refunds and exchanges. 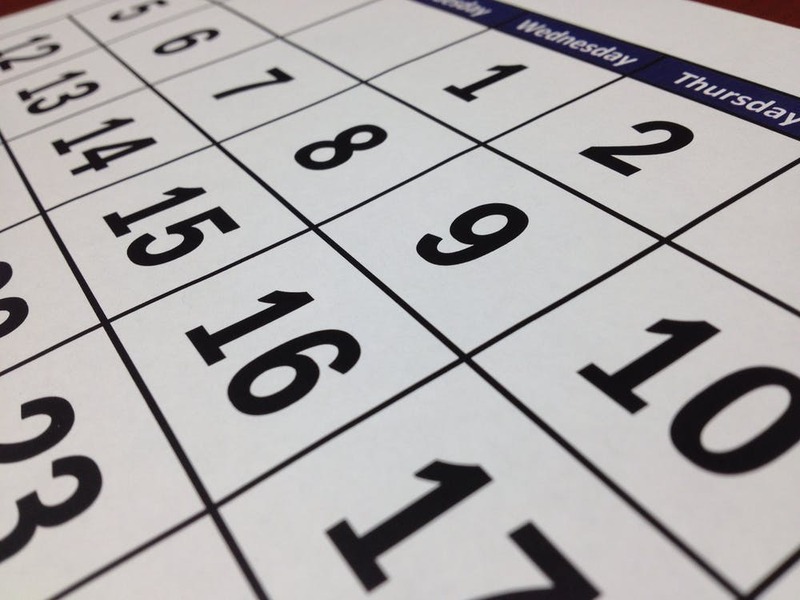 Students are allowed ten calendar days from the first day of class to return textbooks for a refund or credit. -After the initial return period ends, students are allowed three business days from the date of purchase for returns. -Continuing Education books may be returned up to three business days from the date of purchase. -Books for one day courses are not returnable. Textbooks may be accepted for 100% refund or credit only if they have not been used, damaged, or marked in. Textbooks and textbook packages containing access codes or CDs are not returnable if the CD or access code has been opened. No cash refunds will be given. Credit and debit purchases will be credited to the card used to purchase items. For refund information for purchases made via cash, check, or financial aid, go to the Cashiers Window in ADM. Clothing and gift items must be in new condition and may only be exchanged. Refunds will be processed based on the original type of payment. All returns require an original sales receipt to receive a refund. Refunds for returned books purchased with a credit card will be issued back to that card. Refunds for returned books purchased with a personal check will be held for 10 business days to ensure the check clears. The student will receive a refund voucher for confirmation. After 10 days, the Business and Finance Office will process the refund which will be issued per the student’s refund preference approximately two weeks later. Note: Continuing Education students and students who do not select a refund preference will receive their refund by mail in the form of a check. Refunds for returned books purchased with cash will be issued per a student’s refund preference submitted via WebAdvisor. The student will receive a refund voucher for confirmation at the time of the return and the refund will be processed by the Business and Finance Office approximately two weeks later. If a student has an outstanding account balance, the refund will be posted to the account to lower the balance owed. A 100 percent refund shall be made if the student officially withdraws (drops) prior to the first day of the academic semester/term as noted in the college calendar; or prior to the first day of the class for classes that are not consistent with the academic semester/term. A 100 percent refund shall also be made if the college cancels a course. Fees are refunded at 100 percent only when all tuition is refunded at 100 percent. A 75 percent refund shall be made if the student officially withdraws (drops) from a class prior to or on the official 10 percent point of the class. Fees are non-refundable when any portion of a student’s tuition is refunded at 75 percent. IF YOU DO NOT OFFICIALLY WITHDRAW FROM A COURSE AND ARE SUBMITTED AS A ‘NO SHOW,’ YOU WILL BE CHARGED 100% TUITION FOR THE COURSE(S). Miscellaneous fees are non-refundable, including: gym fees, malpractice insurance fees, replacement ID card fees, and testing fees. If you have questions about your refund, call 910-678-7347. Refunds for tuition and fees are processed approximately 2-3 weeks after the drop/add period ends. Refunds will be issued back to your credit card if paid by credit card. All other refunds will be electronically deposited into your personal bank account (if you login to WebAdvisor and enter your bank account information) or by a paper check that will be mailed. A college shall provide a 100 percent refund to the student if the student officially withdraws or is officially withdrawn by the college from the course section prior to the first course section meeting. After a regularly scheduled course section begins, the college shall provide a 75 percent refund upon the request of the student if the student officially withdraws or is officially withdrawn by the college from the course section prior to or on the 10 percent point of the scheduled hours of the course section. This sub-section applies to all course sections except those course sections that begin and end on the same calendar day. Colleges shall not provide a student a refund using State funds after the start of a course section that begins and ends on the same calendar day. After a non-regularly scheduled course section begins, the college shall provide a 75 percent refund upon the request of the student if the student withdraws or is withdrawn by the college from the course section prior to or on the 10th calendar day after the start of the course section. If you have any questions regarding the above policy or procedure, please contact the Continuing Education Registration & Records office at 910-678-8386. To drop a course, fill out a Drop Form at the Office of Registration & Records in the Neill Currie Building. If you paid for the course with a credit card, your refund will be issued back to that card. All other refunds will be provided by check and mailed directly to the student approximately three weeks after the course is dropped. In the event of a course cancellation, no action by the student is needed. Students in a canceled course will have their paperwork automatically processed to receive a refund. If you have any questions regarding your refund, please contact Rebecca Elmore at 910.678.7347. Through WebAdvisor, students have the option to receive electronic refunds from the College directly into a personal bank account of their choosing. Follow the steps below to select your preference. Those who do not provide bank account information will receive paper checks by mail for any refunds due. After submitting your information, you will receive an automated email confirmation. You may change your bank information at any time by deleting the current information and following the steps to enter new bank information. – Online accounts are easy to set up and update. – You can use any bank in the United States. – Save on trips to the bank to cash checks. – No worrying about when and where your check will be delivered. – Eliminate delays due to lost or stolen checks. Review your information. If everything is correct, no action is needed. If your address has changed, please update it accordingly. Note: If a check is lost or stolen, a student must wait 10 business days before requesting a replacement check. Your refund information is sent electronically to FTCC’s bank on the disbursement date and the bank begins the ACH transfer to your bank account. The normal processing time to receive the money in your account is 2 to 3 business days. Your refund check is delivered to the U.S. Post Office on the disbursement date and begins the process of delivery to you. The length of time for delivery is dependent on the postal service. If you made a payment with a credit card and you are due a refund, the refund will be applied back to the card used for payment. A business office hold is placed on a student’s account due to an outstanding balance. This hold will essentially freeze the student’s account preventing registration of additional classes, transcript requests, graduation application, etc. A student has not paid a tuition, fee, and/or bookstore balance from the current or previous semester. A student completely withdraws from classes, using financial aid, and is charged for the unearned portions of that aid, creating a debt on the student’s account. A student does not pay a short term loan. A student has an unpaid library or parking violation fine. Library fines can be paid directly to the library with cash. If you want to pay using a Visa, Discover, or MasterCard, you must obtain written documentation from the library for the amount owed and make your payment at the Cashier’s Office in Room 132 of the Tony Rand Student Center. All graduates of FTCC must submit a graduation application in order to receive their degree, diploma and/or certificate, regardless of whether they plan to participate in the commencement ceremony. View FTCC’s Graduation pages. Before replacing your student ID card, check with the Public Safety Office first to see if it has been turned in to the lost and found. Go to the Cashier’s Office (Room 132 of the Tony Rand Student Center). Present a photo ID with a $5 payment. *If you do not have a photo ID, go to GCB 102F to verify your identity via the ID database. Bring the form provided to the Cashier’s Office in lieu of a photo ID. Go to GCB 102F to get a replacement ID and provide the receipt from the Cashier’s Office. Note: A lost ID issued over two years from the time of loss may be replaced without charge. If you would like to receive your 1098-T tax form electronically, choose this option in WebAdvisor by selecting “1098 Electronic Consent.” If you consent to receiving your form electronically, a form will not be mailed to you. 1098-T tax forms will be mailed to all others no later than January 31st for those that had registration charges billed to their account between January 1st and December 31st of the tax year. FTCC reports 1098-T information as the “Payments Received for Qualified Tuition and Related Expenses” (Box 1) on your 1098-T tax form. Note: This report is in PDF format and a recommended item. The link is to an external document that is not ADA compliant.